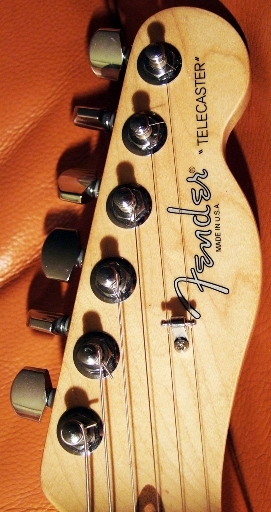 The first version of the Highway 1 Stratocaster was launched in 2002, but doesn't appear in Fender's Frontline of that year. They appear in Arbiters UK price list in 2002. The Telecaster doesn't appear in any publication I can find until 2003. In 2004 the Highway 1 Texas Telecaster was launched appearing in that years Frontline as a new model. 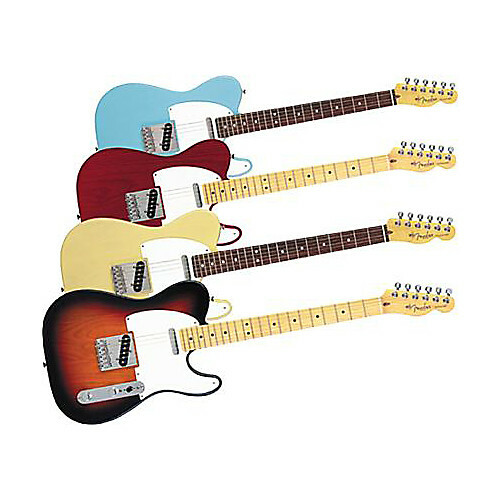 The second version of the Highway 1 telecaster replaced the first in 2006/7. The American Special was launched in 2010, but not as a direct replacement the highway 1 continued to be available for another year or so. The Texas Highway 1 was also discontinued around 2011. Where I have given colour information it is taken from Fender's own publications. 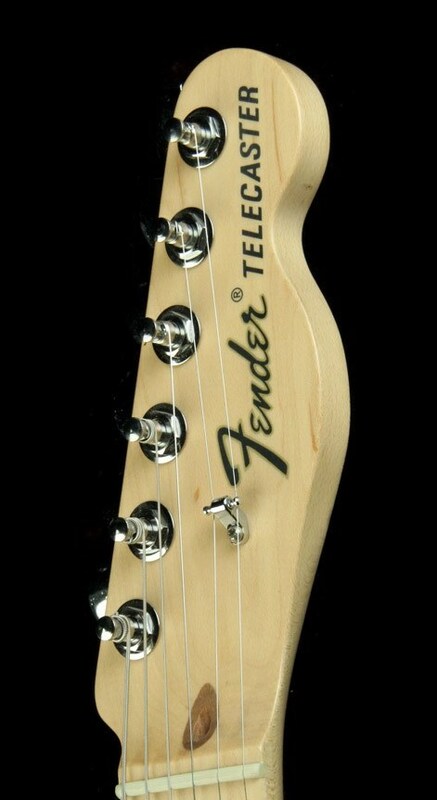 As with all Fender guitars FSRs appear all the time so you may own a colour not mentioned. If you do let me have a picture or two and some details and I will add it to this page. At launch in 2002/3 it came in the 4 colours indicated above, these are 3 Colour Sunburst, Daphne Blue, Honey Blonde Transparent and Crimson Red Transparent. The Daphne Blue was dropped in 2005 leaving the other three until the end of the model. Amongst the features was a Low Gloss acrylic laquer body finish and a Satin neck finish, in theory making it easy to get the natural roadworn look. In the 2006 Frontline version 1 is still shown but now has the greasebucket tone circuitry. 2006 was the crossover year to the new Highway 1 version 2 launched in Daphne Blue, Midnight Wine, 3 Colour Sunburst and Honey Blonde. Like the first version Daphne Blue was dropped after about a year, when it ended it's life in 2011 only 3 Colour Sunburst and Black were advertised. Significant differences to the first version included new pickups described as hot single coil alnico 3s, a nitrocellulose body finish and a change of frets to Jumbo or sometimes even called super jumbo. The headstock logo changed and the 5 hole pickguard was replaced by an 8 hole. Spec comparisons later. It differs a lot from the Highway 1s, it has a glossier thin polyurethane finish, Texas Special Pickups, Brass saddles in a raised chrome bridge still with the Greasebucket circuitry. It launched in Olympic White and 3 Colour Sunburst only, adding Blonde in 2013 In 2018 it is available in 3 colour sunburst and Vintage Blonde both with black pickguards and Teal Green Metallic and Lake Placid Blue with white pickguards. 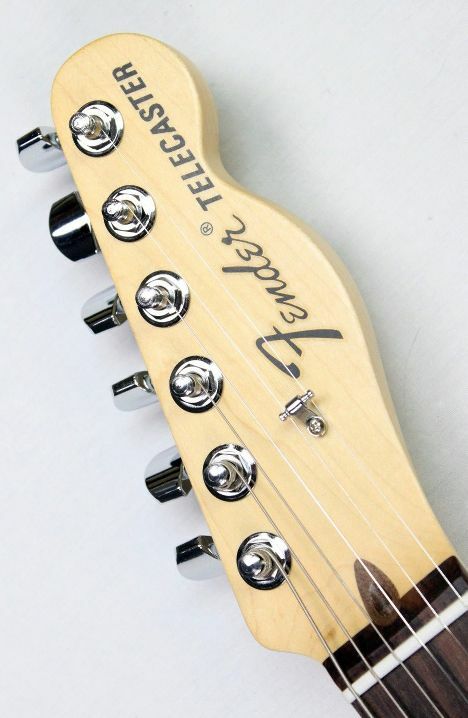 Current UK pricing in July 2018 is shown on the Fender site at £989 although you can find them for around £ 870. 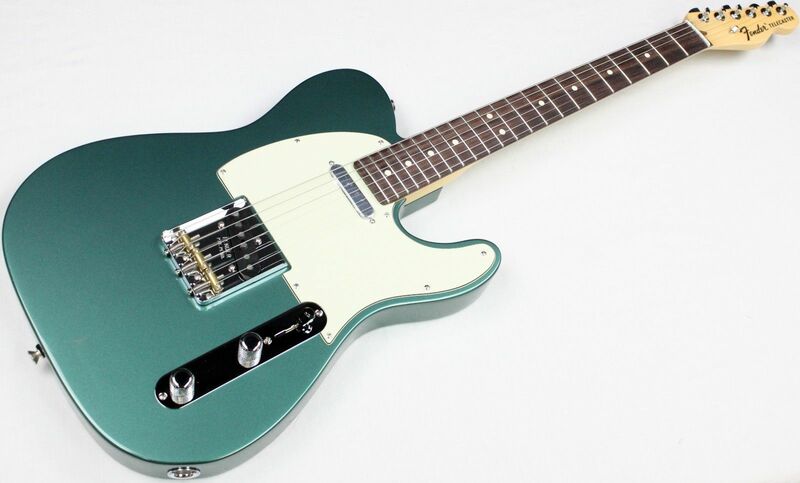 In 2019 the model is discontinued the modern equivalent being the American Performer, which has the new Fender Yosemite Alnico 4 pickups. There is also a SH version sporting a double tap Humbucker. 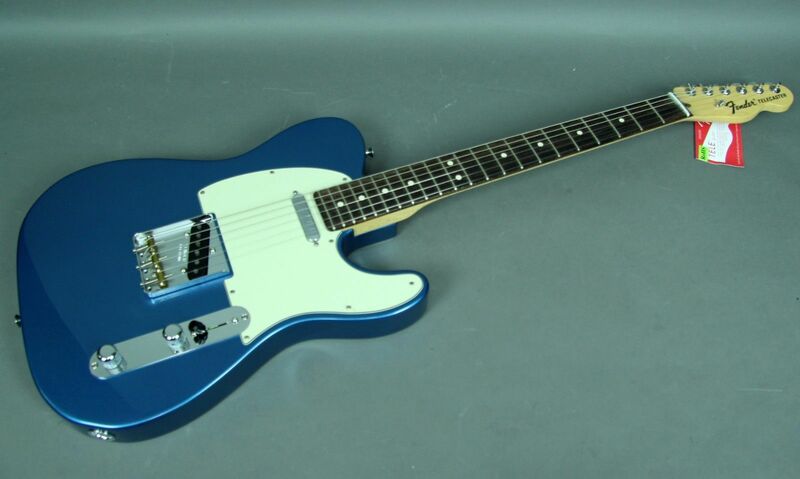 This model is quite different to the Standard Highway 1 Telecaster. Launched in 2004 frontline as a new model it was available in 2 colour sunburst or honey blonde transparent until production ceased around 2011. It has 21 jumbo frets instead of the 22 on the rest of the models. It isn't that easy to find these in the UK so I don't have any real price information.